My favorite wheels. My carbon road bike has a Campy groupo. Bill - you have a message! 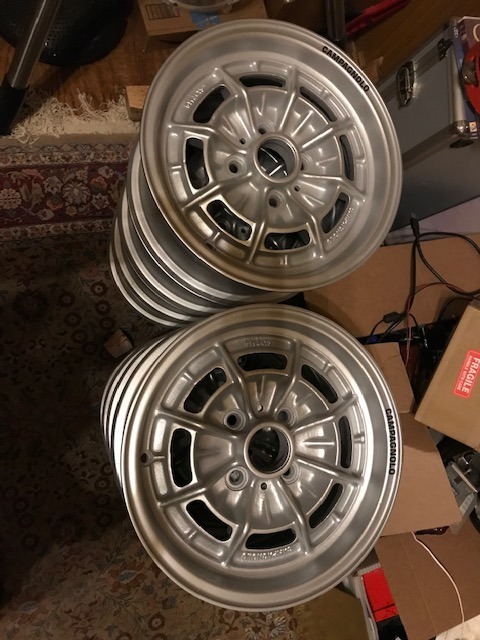 I found a local shop who does restoration on magnesium wheels to my satisfaction. So, they are done. Also, my other set from Italy arrived. The condition was no better or worse. I will also have them restored as well. The second set is done. I was fortunate to have found a wheel shop who uses a chemical "GreenSolv" to strip the old paint/prime off the wheels instead of media blasting. Also, since there was some controversy regarding powder versus wet paint, I did some research to decide for myself - powder or not to powder. We know that Campagnolo used a magnesium alloy "Elekron" for their wheels. After some research, I believe Elektron 21 was the most likely alloy since it was a very popular magnesium casting material at the time. Looking up the properties of Elektron 21, after casting, the parts must be aged at ~400F for 16 hours to relieve casting stresses and to achieve the designed mechanical properties. It is so happened that typical curing time and temperature for powder coating is 10-12 minutes at 400-450F. One can argue that 10 minutes out of 16 hours of aging is not going to make any difference. 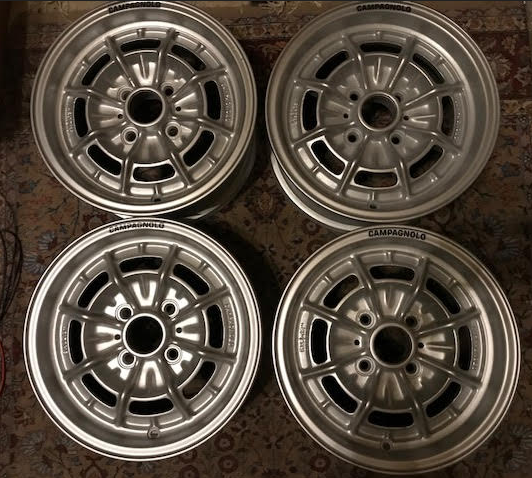 For me, after investing significant time and efforts into these wheels, I am not going to take the risk however trivial. So, I chose wet prime, paint and clear coat for all these wheels. As a bonus, all the casted letters and symbols retained their sharp features and reliefs. I will be breaking up the second set. Keep one as a spare and will be listing the other three in the next few weeks for those who want to have a spare for their set. I, too, am an old bicycle whore enthusiast. I love that they are Campy wheels. They look beautiful. The second set is done. You are killing me. All the years I had a 2002, the only set I ever found are the ones I sold with my car. You have 2 sets. Crazy. These will always be my favorite wheels for a 2002.